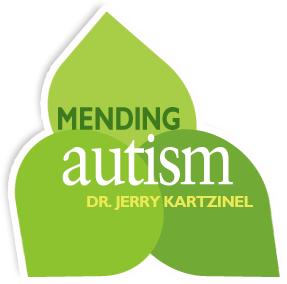 Dietary Fiber - Mending Autism: thoughtful help for healing the body and family. Many patients I see every day in my office struggle with bowel movements. The importance of a daily, well-formed bowel movement is crucial for supporting good intestinal and overall health cannot be stressed enough. I have found that that the addition of fiber to one’s diet can play a crucial role in the positive regulation of bowel movements. Why are bowel movements so important? Painful bowel movements result in fewer bowel movements – as those with this problem can be very reluctant to have another bowel movement as it causes extreme pain, distress, and quite commonly, tearing and bleeding. This reluctance to have bowel movements results in yet, further stretching of the bowel wall in order to hold “more” stool along with continued drying and hardening of the stool, ensuring the next bowel movement to be even larger and harder to pass. Furthermore, this putrefying mass of stool can be responsible for an overgrowth of unfavorable bacteria and even parasites. Fiber can actually help break this vicious cycle! Dietary Fiber has been defined as the part of material in plant foods that just does not break down in the digestive tract. Two main types of fiber have been described, insoluble and soluble. We will primarily focus on soluble fiber in this discussion. Soluble fiber appears to aide in stool formation by absorbing water and becoming gelatinous. What’s more, this gelatinous substance can be fermented by bacteria in the digestive tract and act as a prebiotic – this supports the growth of beneficial microorganisms in the digestive tract. It is understood that a diet rich in soluble fiber does indeed contribute to overall bowel health and normalization of stool production and elimination. For many reasons, adults and children may not be able to consume sufficient amounts of fruits and vegetables to provide the daily amount of fiber to meet their individual body requirements. This insufficient amount of fiber may translate into infrequent bowel movements, abnormally large bowel movements, and painful bowel movements. It has been well established in the medical literature that once or twice daily bowel movements is essential for good health. In these cases, supplementing fiber may be clearly advantageous. 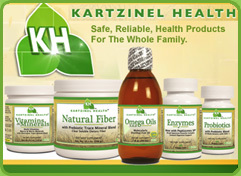 At Kartzinel Health, we have developed a soluble fiber product called Natural Fiber and have included a prebiotic trace mineral blend. This easily dissolvable fiber adds literally no taste or texture to the drink and one serving contributes 11 grams of soluble fiber. This is a very special fiber produced by a patented enzymatic process that make is particularly effective in providing bulk for the diet and is virtually resistant to human digestion. 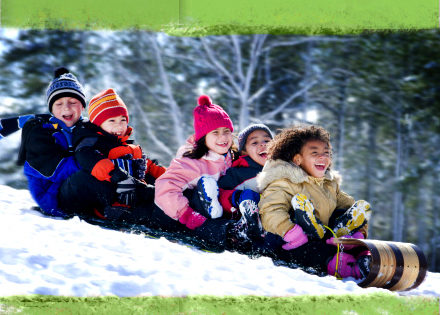 The added prebiotic, a blend of inulin /fructooligosaccharides can help promote the growth of healthy bacteria. This product has been specifically designed to aide is restoration of overall bowel health and the promotion of daily elimination of stool.